Wildfires merge into 300 sq. 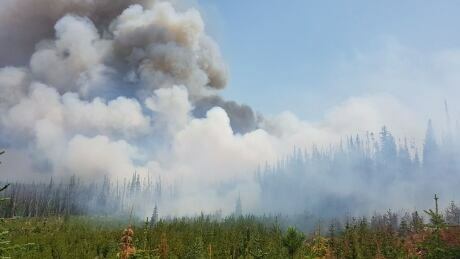 km blaze in northwestern B.C. As two major fires merged in the northwest, B.C. firefighters had to contend with several new fires that have popped up in the southeast and the Okanagan.